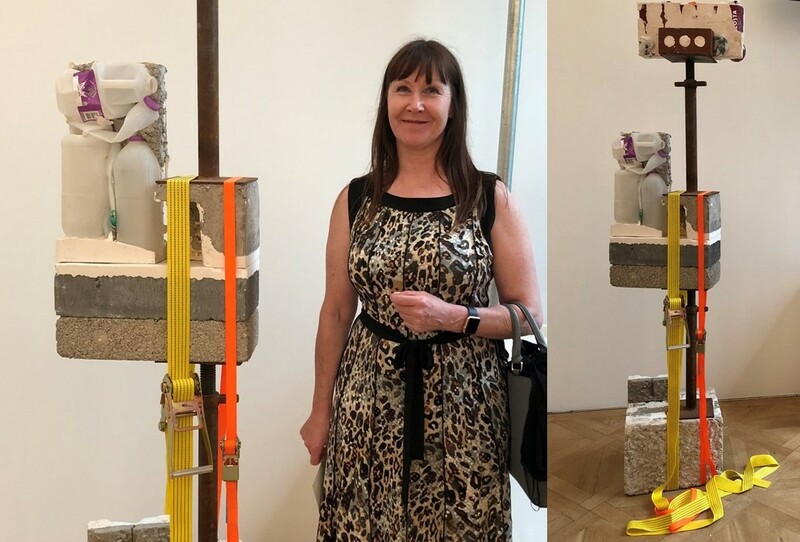 A University Centre Weston (UCW) art student’s sculpture is part of this year’s Royal Academy of Arts Summer Exhibition. Julie Holt’s mixed-media sculpture was selected from more than 20,000 entries for the prestigious exhibition at the Academy’s flagship gallery in London’s Piccadilly. The artwork is next to a vase by Grayson Perry, who is co-curating the show and was part of the committee which decided which pieces would be displayed. As well as Julie, who studies Contemporary Art and Professional Studies at UCW, other artists who are part of the show include Anish Kapoor, David Hockney and Tracey Emin. Julie, 53, who completed a Foundation Diploma in Art and Design at Weston College before progressing to UCW, said: “I’m shocked but incredibly proud, and to be part of the 250th summer show makes it even more special. “I love using different materials as I think the tensions, conflicts and conversations between them say a lot about the world. “This is the first time I’ve entered the competition as I feel like I’ve really found my voice now and reached the point where I can express myself with my craft. “I also think the fact that I only came to art later in life after having children and a career and going through challenges and coming out the other side goes to show how important it is to keep persevering. Terence Wilson-Fletcher, who coordinates the art degrees at UCW, added: “This is really fantastic news for Julie, although not entirely surprising as she is a dedicated and talented student. UCW lecturer Paul Thirkell has also been honoured by the Royal Academy by having one of his prints selected for the Summer Exhibition, which opens to the public on Tuesday 12 June and runs until Sunday 19 August. The Contemporary Art and Professional Studies degrees at UCW are delivered in partnership with Bath Spa University.